This will be the last post in this series on the theology of Johnny Cash. And we conclude with what Cash considered to be his greatest song. His legacy song. A song he wrote just before his death. 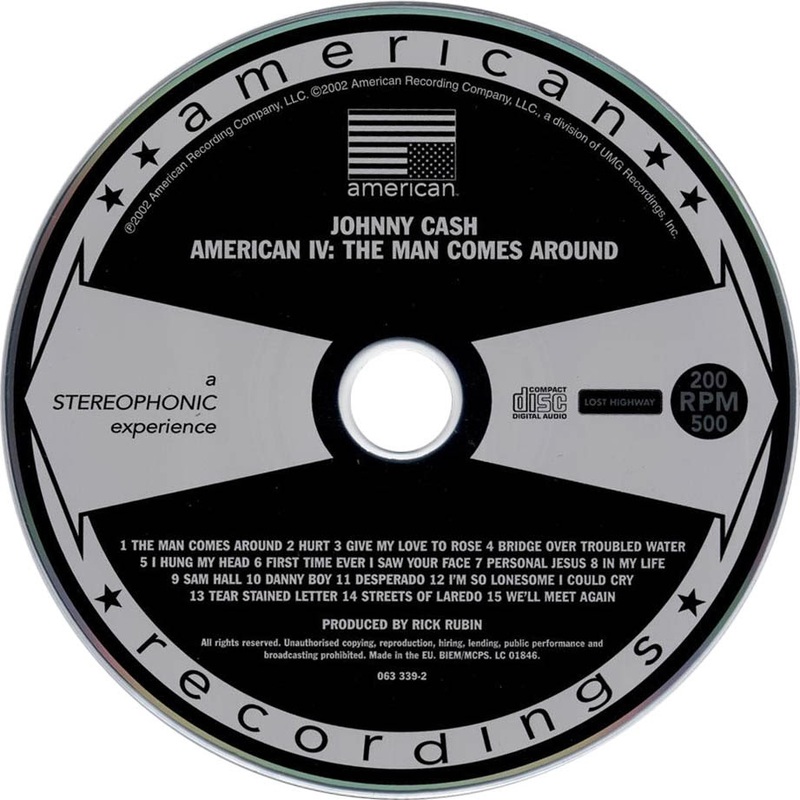 "The Man Comes Around" was the standout song in the final album--American IV--Cash recorded with Rick Rubin just before Cash's death. Cash was so weak he almost couldn't finish the album. For some songs Rubin had Cash sing a single line and then stop to rest and catch his breath. Later Rubin spliced the lines together, building the song piece by piece. Most of American IV are covers, songs like "Hurt" and "Personal Jesus," along with older Cash songs like "Give My Love to Rose." But Cash brought to the recording sessions one last original song, a song he had been feverishly working on for months and months. 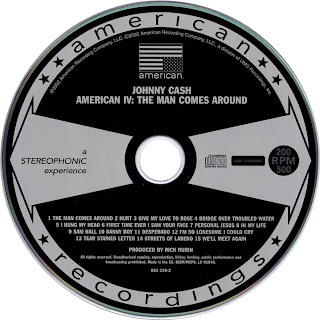 "The Man Comes Around" is Johnny Cash's last great song. Though the lyrics didn't mention Jesus's name or the words "judgment day," it was about Jesus's second coming and the final judgment, the fundamental tenet of his faith. In the series of verses, Cash cited other images from the Bible, including the "whirlwind in the thorn tree" and "the virgins are all trimming their wicks." [The song] was more overtly spiritual than U2's "The Wanderer," but just as majestic and bold. John Carter remembers his father asking him one day as he was working on the song: "So, the word for 'shalom' is Hebrew for peace. What is the word in Arabic?" John Carter told him "shalam." "He wanted the song to be universal," his son says. "And I heard, as it were, the noise of thunder. One of the four beasts saying, 'Come and see.' and I saw, and behold a white horse"
There's a man goin' 'round takin' names. And he decides who to free and who to blame. Everybody won't be treated all the same. There'll be a golden ladder reachin' down. When the man comes around. At the terror in each sip and in each sup. Or disappear into the potter's ground? Hear the trumpets hear the pipers. One hundred million angels singin'. Multitudes are marchin' to the big kettledrum. Some are born and some are dyin'. It's Alpha and Omega's kingdom come. And the whirlwind is in the thorn tree. The virgins are all trimming their wicks. The whirlwind is in the thorn tree. It's hard for thee to kick against the pricks. Till Armageddon no shalam, no shalom. Then the father hen will call his chickens home. The wise man will bow down before the throne. And at his feet they'll cast their golden crowns. Whoever is unjust let him be unjust still. Whoever is righteous let him be righteous still. Whoever is filthy let him be filthy still. Listen to the words long written down. The whirlwind is in the thorn trees. In measured hundredweight and penny pound. A listening note. There are two versions of this song. The original version that Cash sent to Rubin is a country take on the song. The version Rubin released on American IV has more of a rock flavor. You can listen to both and see which one you prefer. There is a part of me that would like to just end this series with the lyrics of this song. 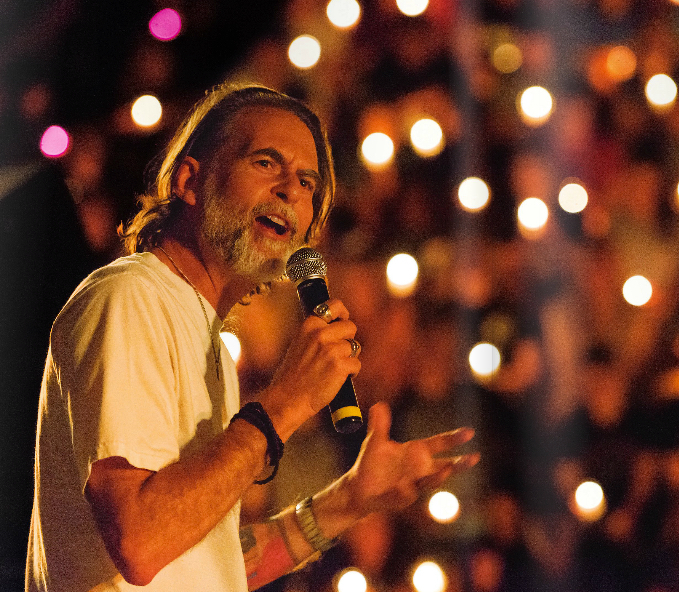 The song is theology, through and through. I don't need to insert any. But the apocalyptic imagery of judgment is so strong in the song that I'll end with some final reflections. I think religious liberals have really liked most of this series with its themes of "the Man in Black" solidarity with sinners along with the downtrodden. Those are themes religious liberals enjoy. But Johnny Cash is hard to classify. Cash is not so easily placed in the liberal or the conservative box. Up against the song "The Man in Black" you have this song "The Man Comes Around," a song religious conservatives and fundamentalists would resonate with more than liberals and progressives. Liberals and progressives generally don't like the image of the Last Judgment. So there are these two theological themes in Johnny Cash that are difficult to reconcile. On the one hand you have the tolerance and solidarity of "the Man in Black" for the sinners of the world. Even the very worst sinners. The Man in Black was a man who loved and entrained murderers and rapists in prisons across the country. This is the man of At Folsom Prison and At San Quentin. But on the other hand you have the words of judgement from "The Man Comes Around." How to fit the two pieces together? I don't think you do fit them together. At least not neatly and cleanly. Personally, if I had to, I'd reconcile the pieces by pointing to the prophets and the Psalms, where the language of judgment is reserved for those exploiting and harming the anawim, the vulnerable ones. That's how I'd make the pieces fit if you forced me to do so. But I'm hesitant to do that here so quickly and easily. Because what I think most interesting about the song "The Man Comes Around" is how, as I mentioned above, it is so steeped in the biblical imagination. And the biblical imagination, I'd argue, is always going to explode the boxes of conservative and liberal theology. The biblical imagination, like the God it is trying to describe, is like that whirlwind in a thorn tree. 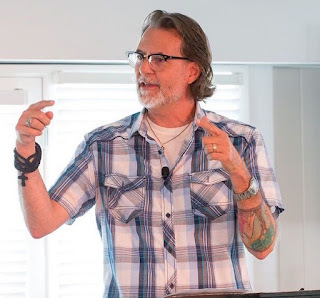 The biblical imagination cannot be codified or systematized. The biblical imagination is going to be wild and untamed. And because the theology of Johnny Cash was so shaped by the Scriptures, due to Cash's daily and lifelong reading of the bible, I think it's fitting to note here at the end that Johnny Cash's theology, being a biblical theology, will also be difficult to pin down and put into a box. And that, I think, is what makes the theology of Johnny Cash so complex and intriguing, all the currents and crosscurrents. The mix of fidelity and unfaithfulness in trying and failing to "walk the line." The dance of light and darkness in the moral juxtapositions of gospel music and murder ballads. And, finally, the man in black standing in solidarity with sinners and the man coming around in apocalyptic judgment. It is a compelling and potent mix. A wild and unsystematic theology. Like the man himself, a whirlwind in a thorn tree. It is the theology of Johnny Cash. Bro!! While this series was certainly easier to chew than Slavery or the Caputo/Boyd series, I think it was no less seminal. So fantastic. I've shared with many people already. Thanks! Tomorrow I have a short post walking through the albums of Cash making suggestions for those who want to explore his music because of this series. Richard, a wonderful series. I enjoyed it tremendously. While I would certainly agree with your conclusion of the complexity of Johnny Cash's theology, I do disagree with you, just a tad, regarding the idea that liberals do not hold to a judgement. May the word "last" is the operative word in your intent; however, many liberals and progressives that I know of and know personally believe in the judgement that is part of the "architecture" of being, of reality, of life. The truth that we "reap what we sow" and that our "..bread cast upon the waters returns to us" is accepted by most progressives, who have no problem, in fact, feel a mystical and poetic need to use Biblical imagery. To conclude, I like to believe that Johnny's theology, though not to over simplify it, is one in which he was always showing and extending more mercy toward others than he reserved for himself. For me this is the sign of one who has walked this earth as saint and sinner with an uncommon honesty, one in which the mercy of God is always covering others while the picture of judgement pops up when self gets in the way. Boy, have I loved this series. Cash is so iconic, such a summation and contradiction of American life... maybe our best contemporary model of being in the world but not of it. The only part missing to me is his complex family life as a testimony to marriage and community. June's part in his redemption story is so beautiful. His description of their family harmonies is mesmerizing. Mr. Cash was well aware of this tension and the struggle between judgment and mercy/sin and salvation/yin and yang, best illustrated by his song, "The Beast in Me". Thanks for pointing us to this interesting song. However, I don't see the universalism you speak of. The song certainly points to the surprising mercy of Jesus (e.g. Judas and John Wilkes Booth are there). But, the song also says that it's those who are "there on time" who are "washed of all your sins and crimes." I hear a call to repentance, don't you? In tension with these universalistic lines is the set I quoted: "there's room for the forsaken/if you're there on time". "If you're there on time" brings in the element of there being some sort of cut-off. I'm reminded of the Ark myth: once the door was shut (by the hand of God) no one got on board. WHile Cash's concept of who gets "on the train" is a lot broader than many people's, he still indicated that there is some sort of limit. Good stuff. I hadn't known of this song (or of Humpty Jackson!). But, I find myself drawn to the ways in which he holds the tensions between the Biblical themes . . . and places himself in the story amongst the sinners (as you pointed out). Thanks for offering your thoughts. I'm beginning to think that Johnny Cash may be the key to understanding what America is all about! I've enjoyed this series thus far, partly just because it got me listening to some of my Johnny Cash albums again, but this post was the one that really got to me. Beautiful stuff, and thank you so much for your wonderful blog. Ditto to all of the "loved this series" remarks. Johnny Cash was always filed under "dad's music" for me, but I have a lot of respect for him now. I'm wondering if the line "There's a man goin' 'round takin names" from "The Man Comes Around" is taken from one of Leadbelly's old songs. The best version of "Dere's A Man Goin' 'Roung Takin' Names" is by Paul Roberson on his CD titled "Paul Roberson: The Power and the Glory." As one of your "liberal" readers, but also as a fan of Johnny Cash--especially his later recordings--I agree that great music and poetry, like biblical imagery, transcend and transform mere politics or ideology. I often play "The Man Comes Around" on the jukebox when I'm hanging out with my friends in our favorite Missoula tavern, and it gives me chills every time I hear it (as does "Hurt"). Yes, it's about judgment, but it has nothing to do with humans judging other humans, about venial moral failings or some register of good deeds and bad ones; it's about the deeper judgment we bring upon ourselves, a judgment of the heart and soul--really, it's about being brought into a terrible light that reveals us to ourselves at last: redemption, revelation, and judgment all at once. It's inescapable, it's inevitable, and you don't even have to believe in God (I don't, by the way) to know it's coming--or that it should come. The song reminds me of a line from Camus: The plague has come upon you, my friends, and, my friends, you have deserved it. I do believe in God...and I do like how you think. Very well put. Pretty sweet stuff, though the Arabic word for peace is "salaam." Thanks for this series. I've really enjoyed it. Someone else may have mentioned this (I use an RSS feed so I don't often leave comments) but Roseanne Cash said of her father "he was born a Baptist with the heart of a mystic." This comes to mind as I read this last reflection. Sometimes we forget to enter into the mystery, the mysticism of faith. Perhaps Johnny Cash's ability to embrace the tension between the man who comes around and the oppressed, this unsystematic theology, as you put it, is because of his mysticism. A mystic doesn't try so much to reconcile every aspect of faith, but instead revels in ambiguities. Cash was rich in the end. He was a businessman, after all. Crazy that we don't spend time on the losers who had no family inheritance, no patrimony. Where is the week on Simone Weil? Vincent Van Gogh? Sophie Scholl? Where is the reflection on those who die with NOTHING? God, the list could go on. Nietzsche, for that matter? Richard, how about the saints who require no money exacted from us? We have to serious. Anyone who dies with money, like Stanley Hauerwas, a millionaire in retirement, is someone to be question. Seriously. How can you claim Christian community and walk away with wealth? Even Alasdair MacIntyre said that wealth divorces Christians from the healthy form of dependence. Solidarity is something we despise, but true solidarity is death with others for the sake a future we cannot imagine by God's movement of grace. I like Cash too. But I've never spent a dollar on his stuff. "It is a compelling and potent mix. A wild and unsystematic theology." This is what I've found in my own wanderings and inner musings. There are two (or more) theological "impulses" if you will, that are perhaps irreconcilable. Yet, somehow, I live with them. It's a tension, and it's not easy. I think "walk the line" really is a good summation. Great ending post. Thank you for this series. I am sad to see this series come to an end. Thank you for your time and effort with this series. One of the great influences in his life was the effect of the Great Depression on his family in the Delta region of Dyess, Arkansas. He was one of seven children. Their home was flooded at least twice. The death of his older brother who was nearly cut in two at a sawmill, bothered Cash all his life because he felt guilty. He often spoke of how the New Deal programs of FDR helped his family survive. Some of his songs were inspired by these boyhood experiences in really hard economic times. PBS just tweeted today about a "lost interview" of Johnny Cash, on "gospel music, pain killers, & singing w/ Elvis." I have not listened to it yet. Before your pots can feel the fire of thorns He will sweep them away with a whirlwind, the green and the burning alike. - Ps 58:9. Thank you for this post. The 2 themes need not be reconciled as they speak of two different beings. The man in black is Johnny Cash. A man who loved, exhorted and did not judge sinners. The Man, is Jesus who loves and exhorts sinners more deeply passionately than anyone but will judge them based on their rejection of Him.